Beijing: Days after extending its blockade on India’s move to impose a UN ban on Pakistan-based JeM chief Masood Azhar, China on Wednesday called for a stronger global response to curb cross-border movement of foreign terrorists. Speaking at a meeting on counter-terrorism in New York, Wu Haitao, China’s deputy permanent representative to the UN said frequent cross-border flow of foreign terrorist fighters has caused ever greater harm to international security and stability, state-run Xinhua news agency reported. The report defined foreign terrorist fighters as individuals who travel to a state other than their states of residence or nationality for the purpose of participating in terrorist acts. “The UN and the relevant international agencies should set up counter-terrorism data bases as soon as possible and share intelligence so as to create conditions for effectively curbing the cross-border movement of foreign terrorist fighters,” he said. Wu’s speech against the cross border movement for foreign fighters followed Beijing extending the “technical hold” on India’s pending petition to ban Azhar for his involvement in the Pathankot terrorist attack. Announcing the extension of the technical hold on October 1, Chinese foreign ministry spokesman, said, “China always maintains that on the listing matter, the 1267 Committee should stick to the principles of objectivity, impartiality and professionalism, base its judgments on solid evidence and decide upon consensus among the members of the Security Council”. China, a veto-wielding member had put a technical hold on the move to impose a ban on Azhar six months ago in the 1267 Committee of the UN Security Council (UNSC) comprising of 15 members of the council including the five permanent members. China was the lone country which put the technical hold at the last minute which drew strong criticism from India. 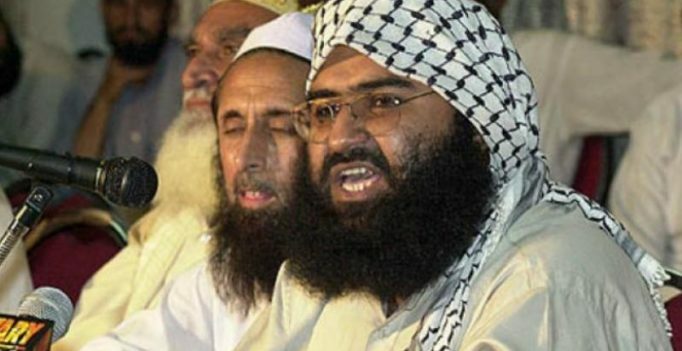 However China’s stand against movement for foreign terrorists could raise eyebrows in Pakistan as both Azhar and Lashkar-e-Taiba chief Hafiz Saeed are Pakistanis. India has been highlighting the cross-border terror threat emanating from Pakistan and tensions between New Delhi and Islamabad are on the rise since last month’s Uri attack in Jammu and Kashmir which killed 19 Indian soldiers. Last month, India and China held their first counter- terrorism dialogue.